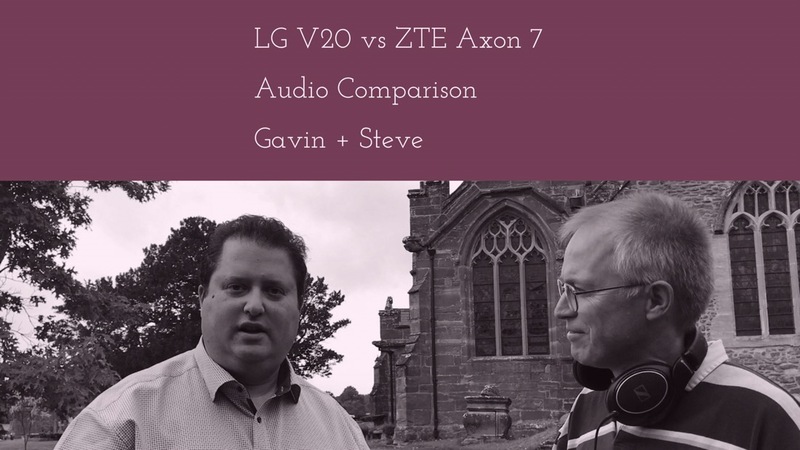 Earlier today, Steve Litchfield from The Phones Show compared the audio quality from the ZTE Axon 7 and LG V20. So without further ado, see what we both had to say about the audio centric phones. You can find links to all of Steve’s websites and , podcasts and YouTube channel, by clicking HERE. I both devices and agree with your assessments. Obviously only the V20 has Aptx HD which has is great with the right headphones. I like you both as reviewers. I still have lots of Symbian devices! Holy Mackrell! The V20 and DT770s are astonishing. Tested with DSD FLAC and very bit rate MP3s. All sound unbelievable. I’m in heaven. How well the hifiman he400i (not the he400s) will perform on lg v20 and lg g6?does the he400i trigger the hifi in lg g6? Also what about he400s?does it also trigger hifi mode? any headphone over 40 ohms should trigger it. All the HiFiman models you have mentioned in all your questions are less than that needed to trigger the high impedance mode. There is an app called LG DAC Fix (free) that might solve this problem. It doesn’t work with every device. An easier way is to get this FosPower adapter http://amzn.to/2uMyEpf , connect it to your headphones . What you do is plug the adapter in first, this trigger AUX mode. Then plug the headphones into the adapter. What is the case used in the LG V20 in the video review?